With the increasing popularity of cryptocurrency, more crypto news and conversation pops up in our daily life. If you are not into this field, you may find some technical terms, lingo, or jargons hard to understand. 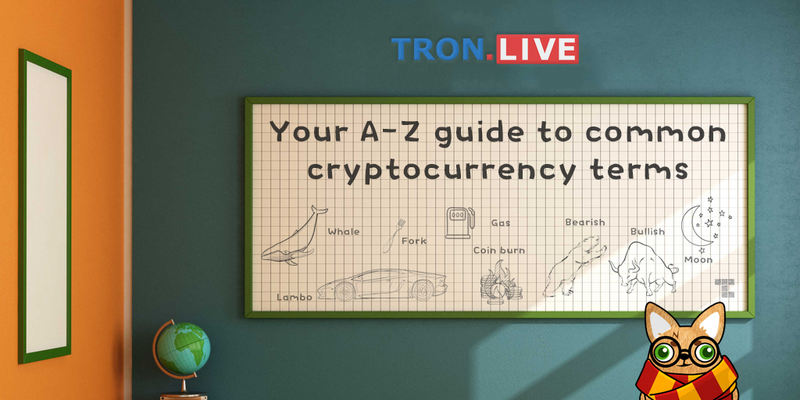 TronLive have compiled a list of commonly used crypto terms so more people can be part of this revolutionary move. Don’t be left out, it is a learning process for everyone. Airdrop — When a coin/token is distributed to the community for free or for simple tasks to ensure early and widespread distribution. Altcoin — Alternative cryptocurrencies launched after the success of Bitcoin. ATH — All Time High. The highest price any given coin has ever reached on the open market. Bag holder — Someone who is still holding coins after a pump and dump crash. May also refer to someone who is holding coins with diminishing value and no future prospects. Bearish — Associate with falling of prices of a given coin. When the market is not doing well. Bullish — Opposite of bearish. Characterized by rising prices of a given coin. Bull trap — False signal suggesting a declining trend has reversed and is rising when, in fact, the value will fall further. Coin burn — Used by various altcoins to reduce the current circulation supply by sending a portion of coin to a verifiably unspendable address. The reduce in coin supply will make the coin more scarce and valuable. Dip — When a given coin falls in price such that its value is relatively lower in a given period. A common term you may see is BTD — Buy The Dip. Dump — The act of selling a large amount of coins at once. Usually associate with whales trying to drive the price of coin down. ELI5 — Explain Like I’m 5. FOMO — Fear Of Missing Out. The overwhelming sensation to be part of the upward movement when the price of a coin starts to skyrocket. Fork — Permanent divergence of an alternative operating version of the current blockchain due to conflicting view or different governance rules of two parties. This will result in multiple versions of the coins after the fork. 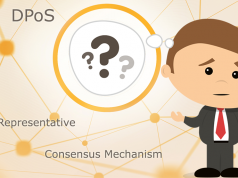 FUD — Fear, Uncertainty, and Doubt. Negativity spread intentionally by whales or haters that in hope to bring the price of coin down. Gas — A measurement of how much processing power is required by Ethereum to process a transaction. HODL — This meme was born when a drunk person on bitcoin forum made a post with this typo in the place of ‘hold’. Later also known as Hold On for Dear Life. The act of holding onto your coins even when market is bad. ICO — Initial Coin Offering. Similar to an Initial Public Offering (IPO) in the non-crypto world. Startups offer their own token in exchange for Bitcoin, Ethereum or altcoins, usually at a lower rate than what it will be on the open market later. JOMO — Acronym for “Joy Of Missing Out”. KYC — Acronym for “Know Your Customer”. Refers to a financial institution’s obligation to verify it’s customers identity in accordance to law. Lambo — Short for Lamborghini. Refers to the idea of one getting rich quick after a coin they have invested flipped many folds that they have a lot of money to buy an exotic car. Leverage — Trading with borrowed money/cryptocurrency. Usually in hope to get a bigger return on investment. MCAP — Market Capitalization. An indicator of market size derived by multiplying the individual unit market price by total available supply of coins in market. Moon — Price going up astronomical levels, usually at least 100x, 1000x or more. Node — Any computer that is connected to a blockchain network. Open — Refers to the price that market opens on any given day. Pump and dump — Price manipulation by whale or large group of coordinate traders. QR code — Short for Quick Response code. A 2D barcode that may have data encoded to it. It is often used to encode long data such as cryptocurrency address. Resistance level — A key tool in technical analysis indicating when a coin has reached a price level that market are unwilling/hard to surpass. Support level — Price level which a coin has difficulty falling below. TA — Technical Analysis/Trend Analysis. The process of examining charts to predict how the market will be. TL;DR — Short for Too Long ; Didn’t Read. Refers to when someone didn’t have enough time to read through a long article and asked for a short summary of the text. 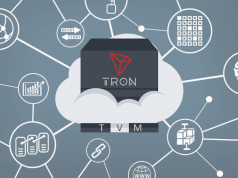 UTXO — Acronym for Unspent Transaction Output. A transaction output that has yet to be used as an input of a transaction. Vapourware — Cryptocurrency project that have no clear use case. Wall — Walls can often be manipulated by large asset holders to manipulate market price. Buy wall happens when the size of buy orders for a particular asset are much higher than the number of sell orders. Sell wall is the other way around. Weak hands — Coin holders which are prone to sell their holdings at the first sign of a dip in price. Whale — Someone who owns a large number of given coin that may influence the market price of the coin. This is usually done by dumping or setting up high buy or sell walls. XBT — The ISO 4217 currency code for Bitcoin. Yield — A financial return. Zero-confirmation transaction — Also known as unconfirmed transaction. 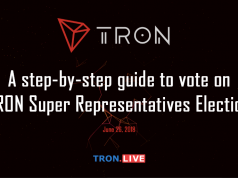 TronLive hopes that this article will be useful for the crypto community. If you have anything to add or terms that still need to be cleared up, please share them with us.